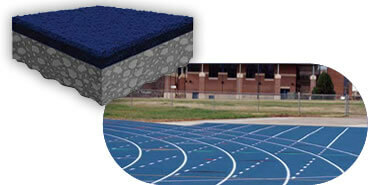 The H100, our most affordable track surface, provides enhanced safety and performance. The high quality black rubber granule base mat is evenly applied in layers using pigmented water-based binder throughout. The top coat offers UV protection and prevents premature wear. The H200 allows you to choose from a variety of colors. It provides the same benefits as the H100 but features color binder throughout, as well as the same great top coat for maximum UV protection. 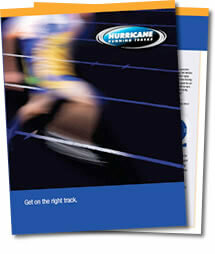 The H300 is our optimal water-based track surface. This is the same black rubber base mat but with an enhanced top layer comprised of color EDPM rubber granules providing spike resistance, maximum color depth, performance and longevity. The H400 is our top performing running track. A prefabricated rubber base mat, made to exacting standards, is adhered directly to the existing surface. The highest grade polyurethane is applied, then embedded with colored EPDM rubber granules. It provides a uniform surface, optimal shock absorbency, and consistent energy return.